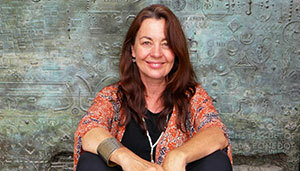 Four-time winner of the prestigious Eureka Prize for Science Journalism, Sonya Pemberton, is one of Australia’s leading factual filmmakers and will participate in this science on screen Sydney Science Festival event. How do you make a great science documentary? Inspiring Australia and OzDox have joined forces to bring award-winning filmmakers Sonya Pemberton (Jabbed), Isabel Perez (Redesign My Brain), Alan Erson ([i||Getting Frank Gehry]]) and Gisela Kaufmann (Shark Girl) together with scientists Professor Andrea Morello (The Quantum Around You) and Associate Professor Darren Curnoe (How did we get here?). Discover how these story tellers have crafted entertaining and memorable stories from highly technical, scientific information. Presented as part of Sydney Science Festival in National Science Week, Spin Coherence and Decoherence will start with a short presentation from each of the panelists that explores how they have each addressed a complex scientific concept through storytelling. Then Professors Morello and Curnoe will throw curveballs at our film makers, presenting them with outlandish and complicated scientific scenarios. The panel will draw on their extensive experience to talk through how they might best crack a storytelling formula that would bring their stories to light. The audience will also get a chance to add their ideas. Chaired by Ruth Hessey, this Sydney Science Festival event in National Science week will be a rollicking how-to workshop offering insights into the science filmmakers’ journey as they translate and transform complex scenarios into riveting, on-the-edge of your seat drama.